Was 2013 a turning point (and what should you do about it)? Sometimes history is obvious at the time; other times, key turning points become clear only in retrospect. The better people are able to recognize when such a change has occurred, the more sound their financial decisions they will be. 2008 stands out as the year that a financial crisis gripped the world; but looking back, 2006 was the actual peak for housing prices, and 2005 the peak for mortgage rates. Recognizing those peaks at the time, that is, before the crisis hit and the downward trends in housing prices and interest rates accelerated, would have helped people make better decisions about home-buying, investments, and personal finances in general. 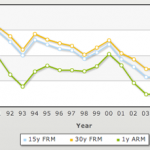 Take a good, long look at refinancing. If you have not refinanced yet, be aware that with rising interest rates, the door to this particular opportunity might be shutting. Even though 30-year mortgage rates are about a full percentage point higher than they were a year ago, they are still much lower than they were around the peak of the housing boom. 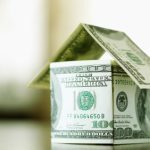 If you’ve been precluded from refinancing because of a decline in your home’s value or bad credit, you might want to check now to see if improving conditions have removed those obstacles. Also, consider refinancing to a shorter-term mortgage to get a lower interest rate. If you have been thinking of buying a home, act decisively. With mortgage rates on the rise, borrowing costs are getting more expensive, so you might want to lock in a mortgage rate before rising rates start to reduce what you can afford to pay for a home. Also, consider why interest rates are rising — it is because the economy appears to be improving, and part of that is a recovery in home prices. According to the S&P/Case-Shiller 20-City Home Price Index, housing prices have now increased in 16 of the last 18 months. Between rising rates and rising prices, if you hold out too long, you may find yourself priced out of the market. Be wary of adjustable-rate mortgages. Adjustable-rate mortgages have their place, especially if you are confident of being able to pay off your mortgage in a few years. However, a rising rate environment makes them especially risky. Failing to lock in your monthly mortgage payment could result in your home eventually becoming unaffordable, So when in doubt, fixed-rate mortgages are the way to go. Keep your stock positions in check. Stocks have made a huge run, bolstered greatly by extraordinarily low interest rates. This creates two problems. For one thing, the fast rise in stock prices may have caused them to swell to a disproportionately large portion of your overall investments. For another thing, just as stocks benefited from falling interest rates, they are likely to find rising interest rates to be a bit of a headwind. This is a good time to rebalance your portfolio by trimming your stock allocation back down to size. Emphasize flexibility in your bank deposits. As much as you might crave higher interest rates, be wary of locking into long-term CDs when rates are rising. Today’s 5-year CD rates might look pathetic in a couple years. The only exception is if you can find long-term CDs with relatively mild penalties for early withdrawal. As a rule of thumb, if the penalty amounts to less than the difference between the long-term rate and what you would earn on a shorter-term CD over the course of a year, it may be worth taking the higher long-term rate and paying the price to bail out after a year. Become an active rate-shopper. Whether it is CDs, savings accounts, or mortgages, one thing you should understand is that when rates are on the move, banks are going to react at different times and in different ways. That means that the differences between the rates being offered is likely to vary more greatly and change more often. Don’t commit to any rate — as a borrower or as a depositor — until you’ve made some up-to-date comparisons. The multi-year period of falling interest rates we’ve just experienced has had a profound effect on how people manage their personal finances. Its benefits have included helping to prop up the housing and stock markets, making borrowing unusually cheap, and creating a huge wave of refinancing opportunities. Its downside has primarily been to decimate normal income sources, from bond yields to savings account interest rates. If we move now into a sustained period of rising interest rates, expect in a sense a series of equal and opposite reactions to the above. Recognizing this U-turn in conditions will help you adjust your financial decisions accordingly. #2 above is like saying hurry up and buy before home prices crash. Why would anybody in their right mind do that? Home prices are a function of interest rates. People can only afford so much for a monthly payment. As interest rates go up, people cannot magically afford the higher payment – so something must give – the selling price. The result is that as interest rates rise, home prices MUST fall to maintain payments that are affordable to buyers. The best time to buy a home is when rates are high because home prices are low. Then, as rates fall again, you get a 2-for-1. First, you can refinance at the new lower rate after the rates fall. Second, the value of your home goes up. Makes complete sense, looking for key trends can give you a head start when it comes to managing your finances. I’m going to go back and look at the allocation of assets and cut back on stocks a little. If the Federal Reserve Bank raises the Fed funds rate, that would likely be reflected in bank prime rates and mortgage rates. Generally, when the economy is performing well on its own, interest rates rise. I agree with you that when we look in the rearview mirror, 2013 might turn out to have been the turning point. Bernanke has stated that they Fed doesn’t plan to raise interest rates before 2015, but the market has already shown it believes a turning point in interest rates is here. These are great things to think about when considering a better mortgage rate or purchasing real estate. Be sure to be mindful of adjustable – rate mortgages, as they could pose a risk if a homeowner is unable to make payments if the rate increases. Shopping around for mortgage rates is always a great plan. I always go to a mortgage broker as they are always hard to beat. Going direct to mortgage providers is always a more expensive option in my opinion.